Fatty liver diseases are a spectrum of liver pathologies characterized by abnormal hepatocellular accumulations of lipids. This condition may occur in both adults and children, particularly those who are obese or have insulin resistance or following abuse of alcohol consumption. They are classified in Non-Alcoholic Fatty Liver Disease (NAFLD) and Alcoholic Fatty Liver Disease (AFLD). Steatohepatitis is a specific pattern of injury within the spectrum of NAFLD and this pattern is associated with fibrotic pro-gression and cirrhosis. The role of oxidative stress in liver steatosis production and its progression to inflammation leading to steatohepatitis has been discussed in relation to alterations in metabolic and pro-inflammatory pathway. 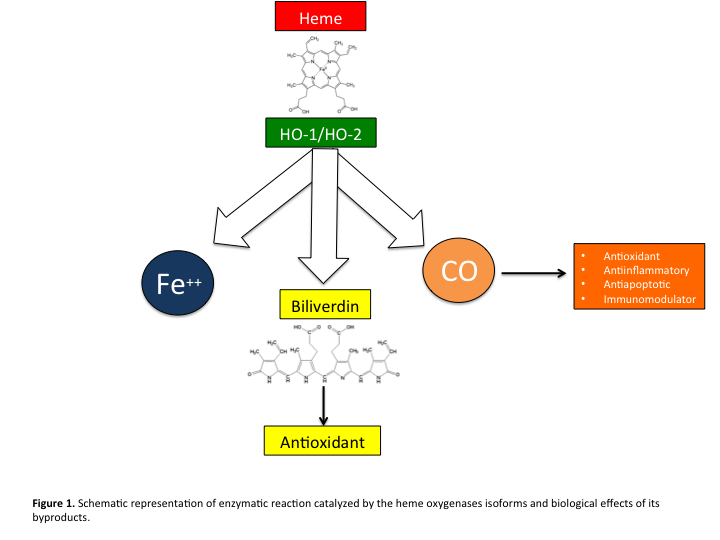 One of the main enzymes responsible for antioxidant activity in the presence of liver damage is the Heme Oxy-genase-1(HO-1).The products of the HO-1-catalyzed reaction, particularly carbon monoxide (CO) and biliverdin/bilirubin have been shown to exert protective effects in several organs against oxidative and other noxious stimuli. In this context, it is inter-esting to note that induction of HO-1 expression contributes to protection against liver damage in various experimental models. The focus of this review is on the significance of targeted induction of HO-1 as a potential therapeutic strategy to protect the liver against fatty liver diseases.